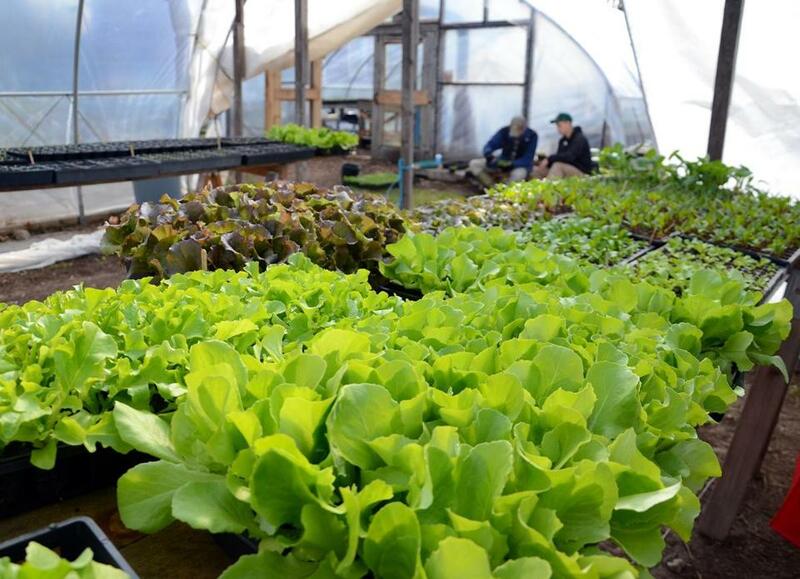 Vegetables started from seed at Holly Hill Farm in Cohasset. Cupcakes and brownies have long been absent from Quincy’s public school cafeteria menus in favor of apple crisps with granola or yogurt and fruit parfaits. Cereals and pastas are among the many whole grain offerings that are paired with a wider range of fruits and vegetables, as mandated by federal school nutrition guidelines. But one area where district officials are aggressively trying to improve is by offering more locally sourced food — an initiative that will get a major boost over the next year, thanks to a $72,000 Farm to School grant from the US Department of Agriculture. 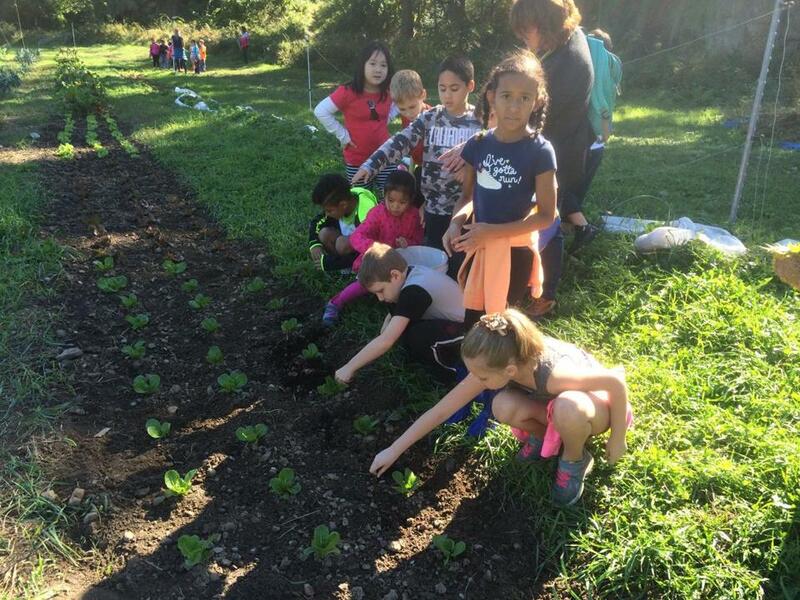 With help from the city’s Planning Department, school administrators will use the funds to expand Farm to School initiatives, including increasing the number of raised-bed gardens used as part of the curriculum in some schools and expanding partnerships with local farms, said Joanne Morrissey, food service director for the Quincy public schools. The 5,000 daily meals dished out to Quincy students already feature some local fare, but the grant will help expand initiatives like one started last school year to add local fish to the menu, Morrissey said. Much of the district’s food is purchased through direct distribution with a produce center, which identifies which items come from local sources — a designation that extends to items from other New England states and, in some cases, New York. Although there aren’t many options for locally grown produce in Massachusetts during much of the school year, Morrissey said part of the grant will be used to identify ways to get direct distribution from farms to the schools whenever possible. Already, Quincy students get local milk, bread, apples, and cranberries, but Morrissey is looking beyond produce to seafood. The district partnered with a New Bedford company last year to introduce a baked fish with breadcrumb topping at the two high schools. This year, the hope is to expand the offering to the middle schools and add salmon and possibly redfish, she said. According to the latest Farm to School USDA census, Quincy spent 10 percent of its $500,000 food costs in school year 2013-2014 on local foods, including milk. The USDA grant will also help fund the introduction of salad bars at Quincy and North Quincy high schools this spring, as well as potentially expand the district’s educational partnership with Holly Hill Farm in Cohasset, Morrissey said. Last spring, Lincoln-Hancock School second-graders learned how to build and care for raised-bed gardens at the farm, but the goal is to have more students from more elementary schools participate. Quincy was fortunate to receive the grant, said Simca Horwitz, the Eastern Massachusetts program director for the nonprofit Massachusetts Farm to School Project. Only 20 percent of applicants get the grants, which are part of a federally mandated $5 million allocation for Farm to School initiatives, she said. Only four awards were issued in Massachusetts, including $100,000 to the Somerville public schools, lauded by observers as a model of Farm to School initiatives. The National Farm to School Network has called on Congress to increase the annual mandatory funding to $15 million from $5 million to meet demand from school districts nationwide which, according to the network, is five times higher than available funding. Somerville schools already have salad bars but will be looking to add fish from Gloucester and Maine to the menu, said Karyn Novakowski, the district’s Farm to School project director. The district also features in-classroom taste tests to encourage students to try new things, and partners with local organizations to extend nutritional education beyond schools to the homes of students. Novakowski said some of the grant money will be put toward mapping out a way to launch a regional Farm to School network that would promote partnerships with area school districts to share best practices and ideas to increase locally sourced offerings. Currently, 14 percent of Somerville’s school food, including milk, is locally sourced. Removing milk from the equation cuts the percentage in half, Novakowski said. The other two award recipients are Massachusetts Farm to School, Project Bread-The Walk for Hunger, in Amherst, which received $25,000 for a training forum, and the Open Door in Gloucester, a collaboration of local nonprofits and the public school district, which got $100,000. Lincoln-Hancock Community School students helped plant at Holly Hill. Katheleen Conti can be reached at kconti@globe.com. Follow her on Twitter @GlobeKConti.